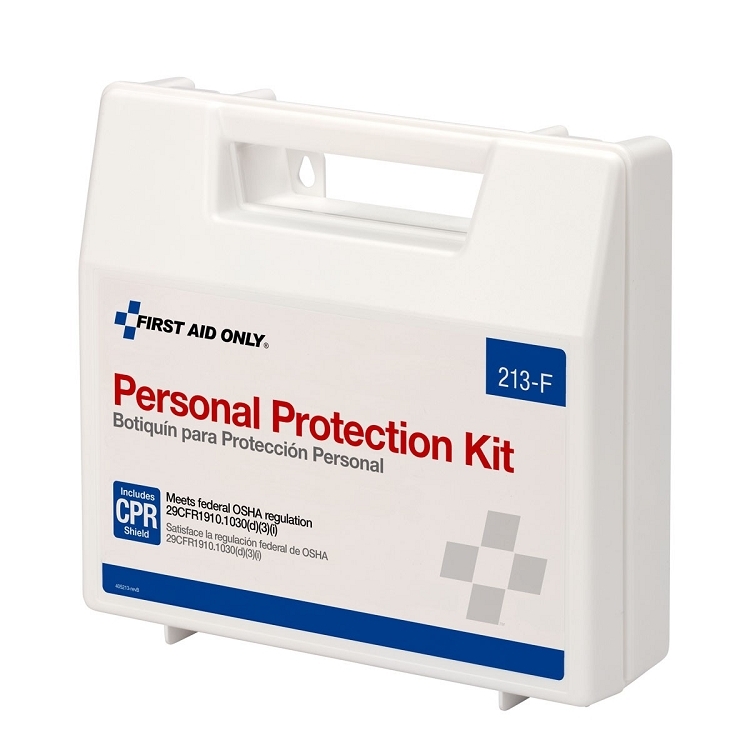 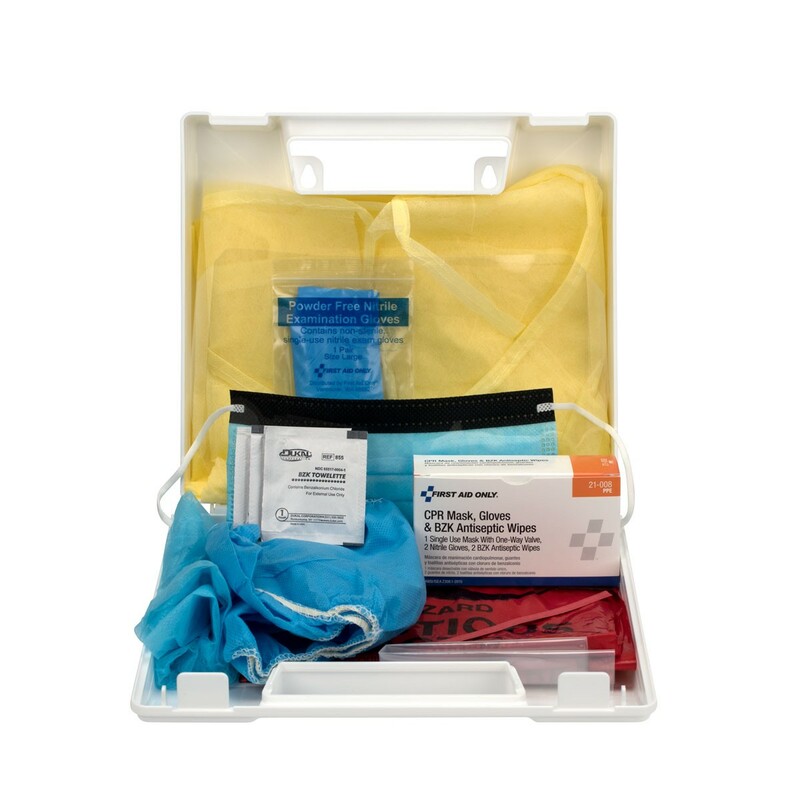 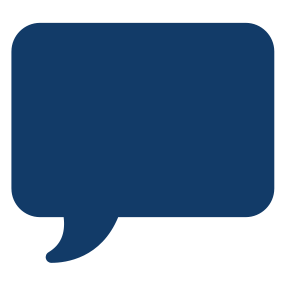 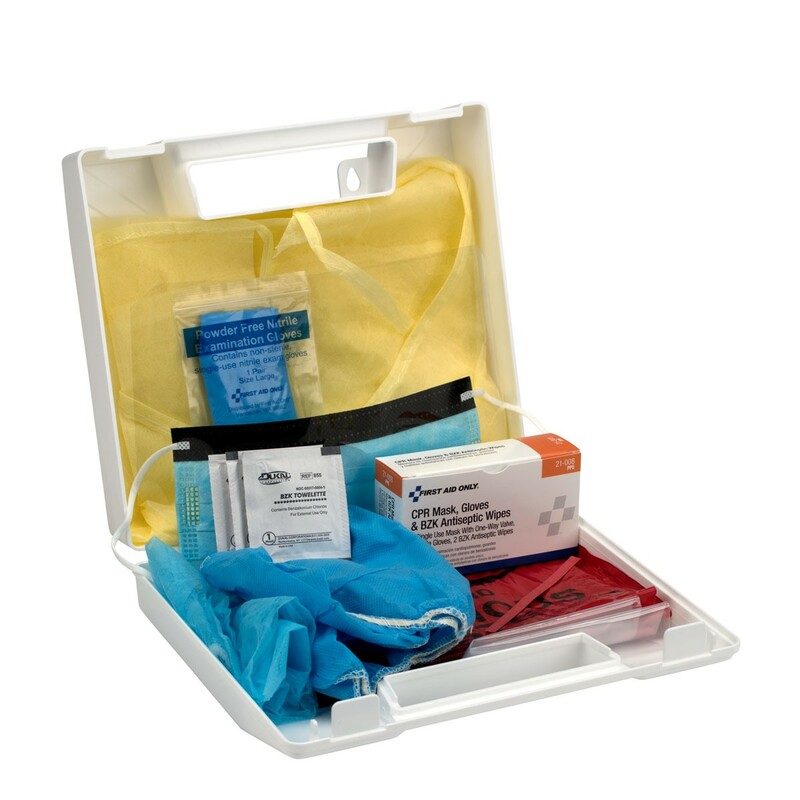 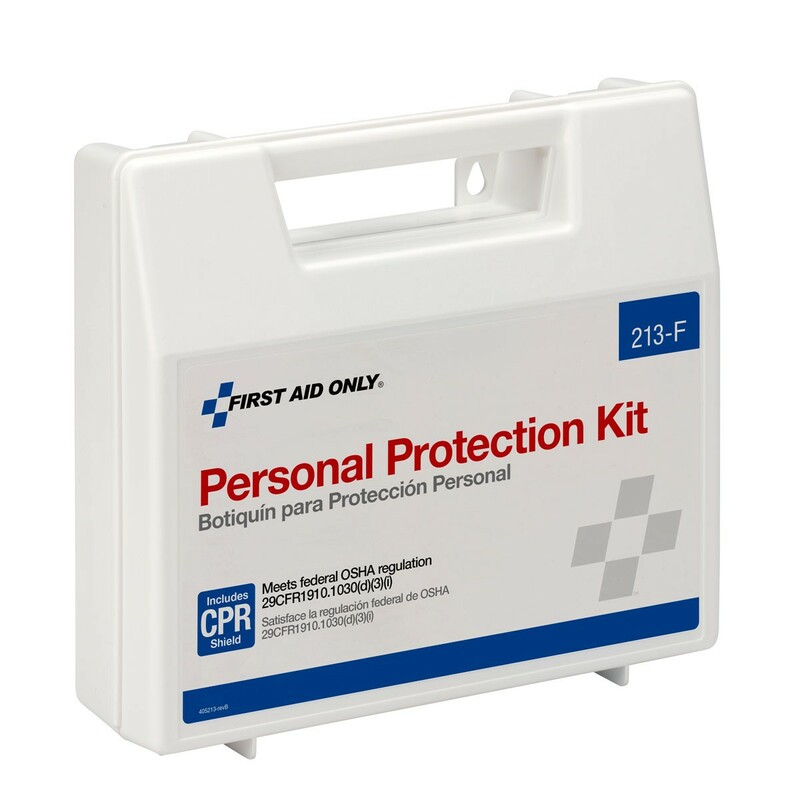 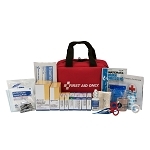 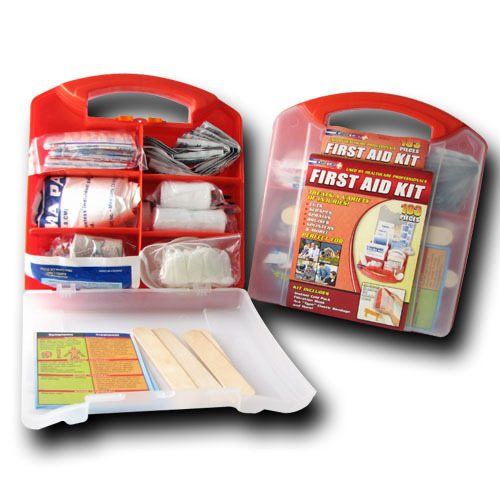 Our 20-piece, personal protection kit is designed to guard persons attending to the injured or ill. (Many companies specifically require this kind of protection.) 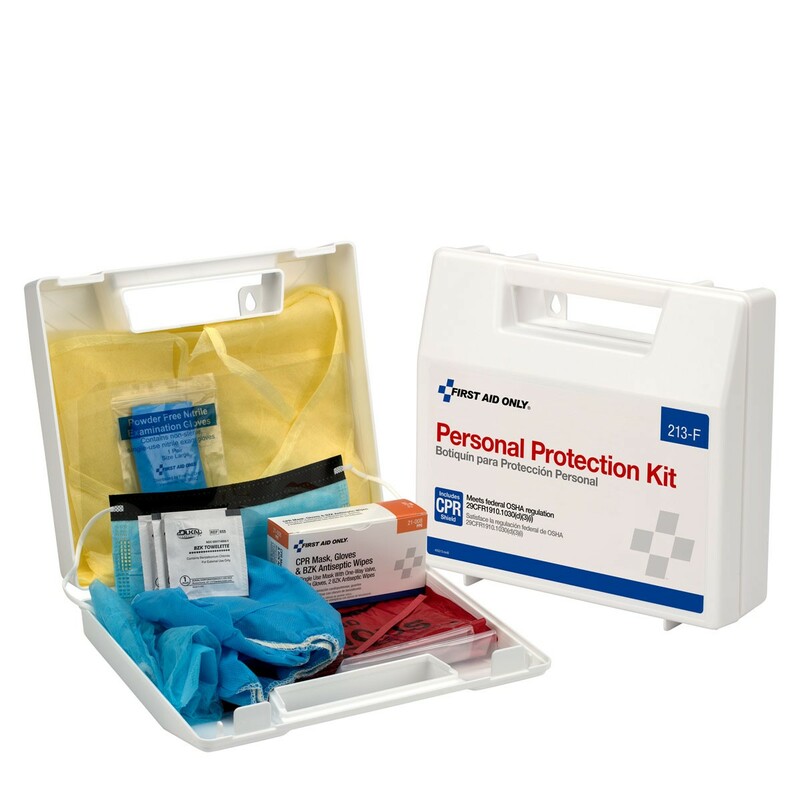 This kit includes a CPR one-way valve face shield as part of the complete head-to-toe defense package against bio-hazardous contaminants. 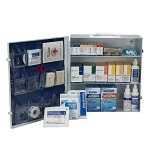 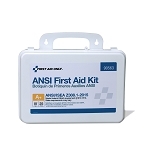 Every aspect of this kit meets with federal OSHA recommendations. 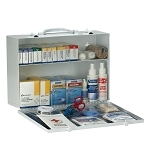 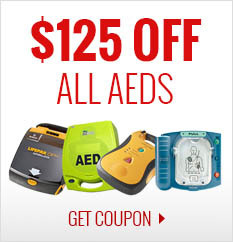 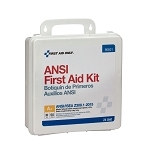 Products are contained in a sturdy, reusable plastic case that can be easily carried or mounted on a wall.